Interstate 91 is an Interstate Highway in the New England region of the United States. It provides the primary north–south thoroughfare in the western part of the region. The Interstate’South southern end is in New Haven, Connecticut, at I-95 and its northern end is at Derby Line, Vermont, a village in the town of Derby at the Canadian border, where it continues past the Derby Line-Rock Island Border Crossing as Autoroute 55. 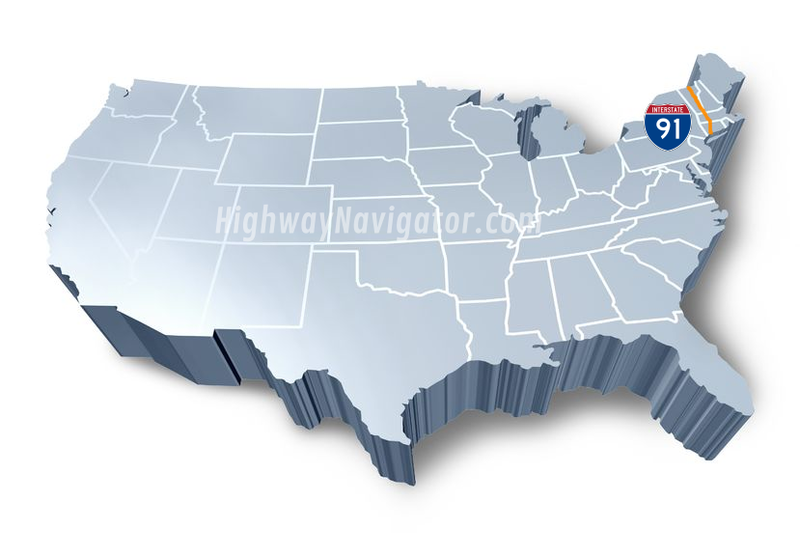 I-91 is the longest of three Interstate highways whose entire route is located within the New England states (the other two being I-89 and I-93) and is also the only primary (two-digit) Interstate Highway in New England to intersect all five of the others that run through the region. The largest cities along its route are New Haven, Connecticut, Hartford, Connecticut, and Springfield, Massachusetts, in order from south to north.